February 11, 2013 Categories Uncategorizedgarden, garden photography, garden tools, gardening, kitchen garden, vegetable garden4 Comments on Ready, set, grow! You’re the first out of the starting blocks…run digs! Run! Your photo is composed so beautifully. Would you mind sharing with me how you use the burlap? i’m interested. I use the burlap as my screens in the greenhouse! When the the Sun starts to get to strong, and the plants are still hanging out in the greenhouse, the burlap works as the perfect filter. I generally drape some on the rafters overhead, but I will even tack up a piece of burlap on the outside in the strong afternoon Sun. 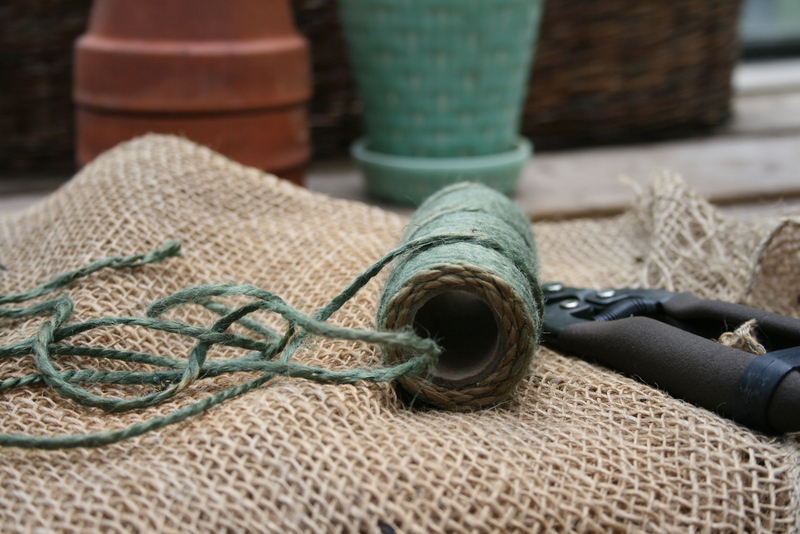 Hint: I buy the burlap in “landscape rolls” at the garden center. It has a looser weave than what you would find at a fabric store. You just need to filter the Sun, not block it out.